Tesla Inc. says it delivered a record number of vehicles in the third quarter even though it made fewer of its new Model 3 sedans than anticipated. Tesla delivered 26,150 vehicles in the July-September period, up 4.5 percent from the same quarter a year ago. Most were Model S sedans and Model X SUVs. Tesla delivered only 220 Model 3 cars. Production of the hotly anticipated Model 3—which is half the cost of Tesla's previous models—began in July. 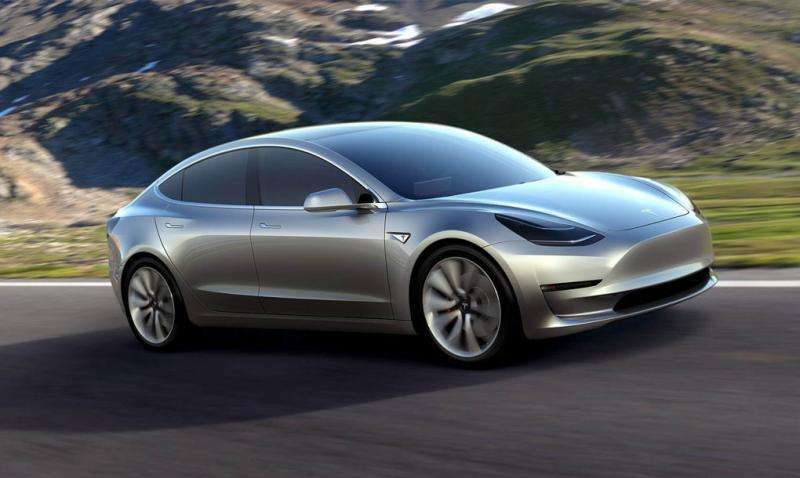 Tesla CEO Elon Musk said at the time he hoped to make 1,500 Model 3 sedans in September. On Monday, Tesla blamed "production bottlenecks" for the slow rollout, but said it's confident it can fix those issues. Tesla's shares dipped 1 percent to $338.92 in after-hours trading.